The last few sailing coasters to grace our shores all operated out of the Taw and Torridge ports. 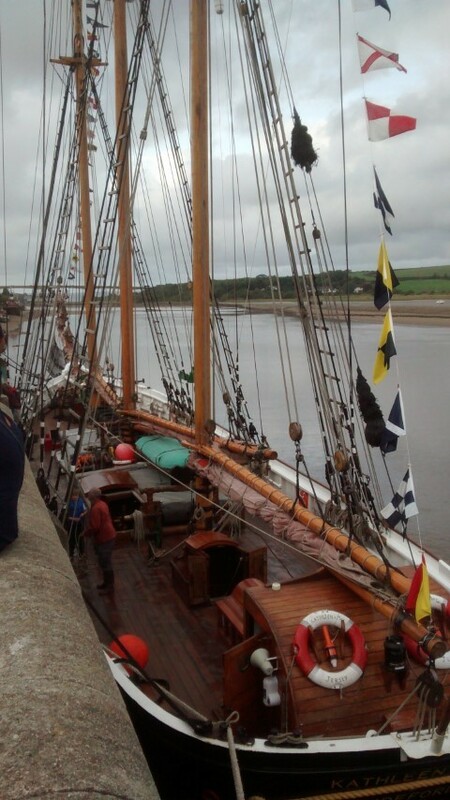 Of these, the last schooner was the Bideford registered Kathleen & May. After ending her working life in 1960 and then passing through a succession of other owners, she was bought by Bideford businessman Steve Clarke, who lovingly restored her. Re-launched in 2001, she moored at Restarick’s Yard, functioning as a tourist attraction, and becoming something of a symbol of the community. Eventually she was sold again, but her legacy lives on in the logo of the local primary school and in the naming of the developments at Kathleen Grange and May Court. In 2009 another May, this time the popular TV presenter James May,was putting East-the-Water in the spotlight. As part of James May’s Toy Stories series May attempted to reconnect the former Bideford station with Barnstaple Junction using an OO scale model train. Unsuccessful on that occasion, May returned in 2011, to complete the challenge with the help of the German model railway attraction Miniature Wonderland.